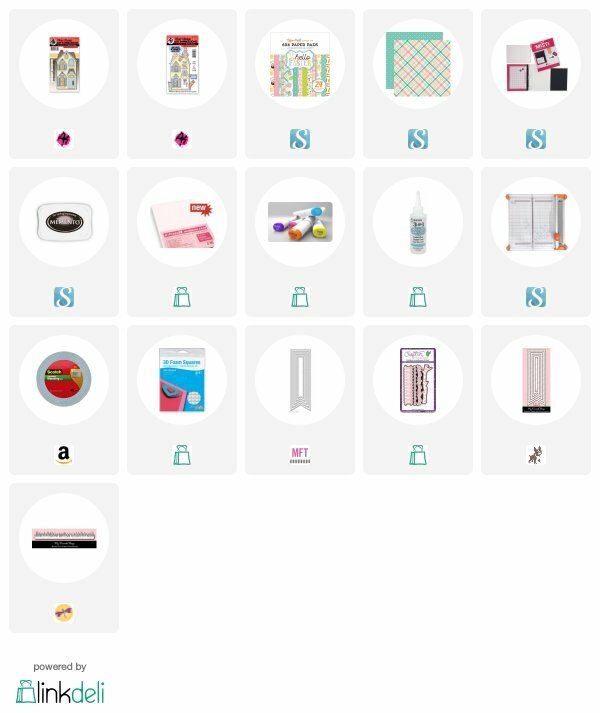 Today I wanted to share with you a fun project! 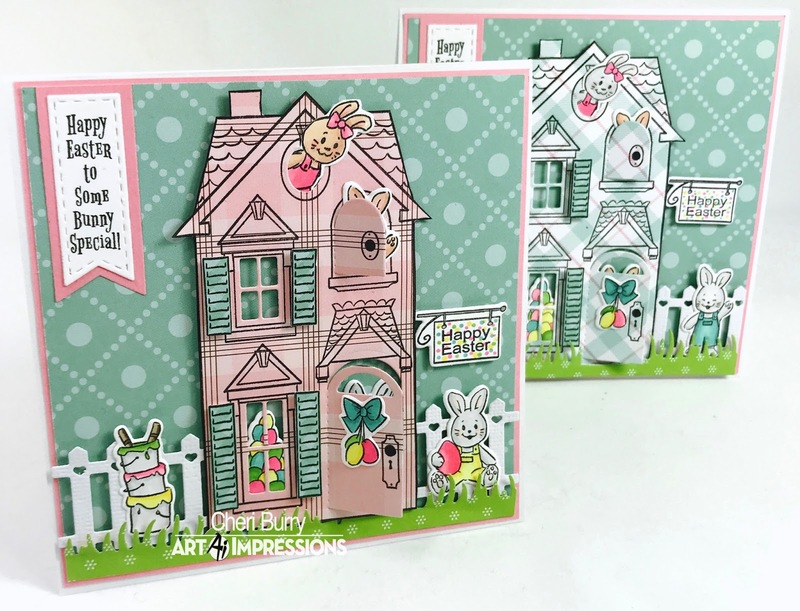 I am using the Art Impressions "Holiday Mansion" and the "HM Easter set". I find it so fun and relaxing to create a little scene with these stamps and dies! 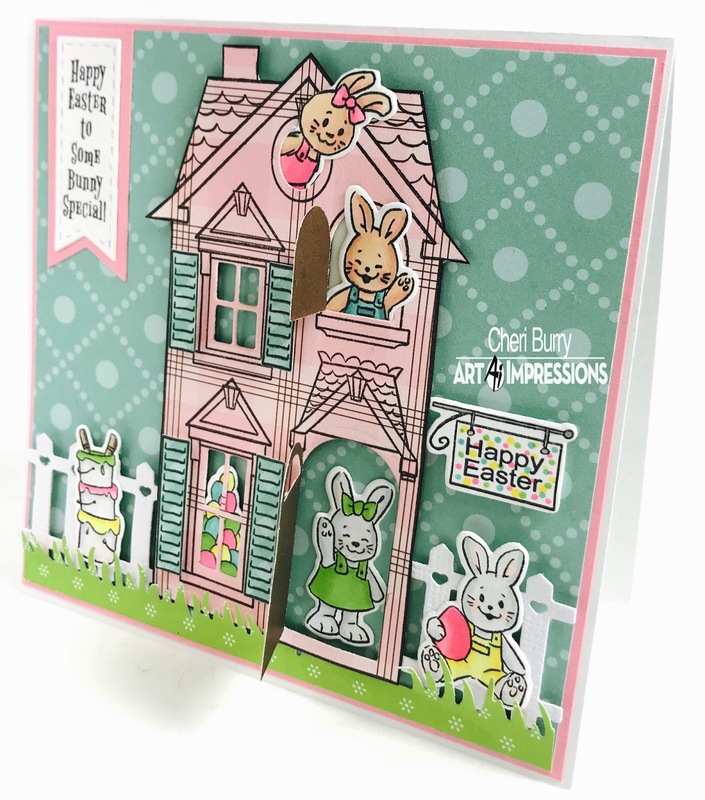 I decided to stamp the Holiday Mansion onto my Designer paper from Echo Park called "Hello Easter". It adds a fun element to the house! Then I stamped and coloured all the little accessories from the "HM Easter" set and die cut them out with the dies that are included. Now all you have to do is have fun and put together you mansion. I decided to add a little fence and some grass for another cute element to my card. There is a lot of dimension to these cards. I popped up the Mansion, fence, shutters and grass with some foam tape. I also cut the shutters out of Designer paper as well. Such a fun card!!!!!!! 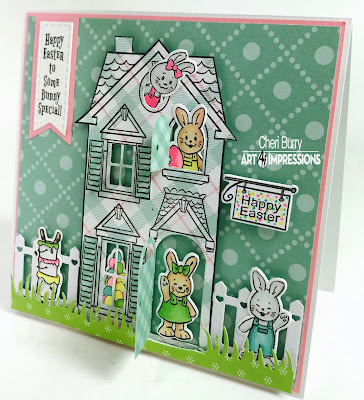 Love the patterned paper mansions and all the peeking bunnies! So FUN!!!!!! Perfect makes my talented friend!